Can I make a confession? I’m generally not the most observant person, especially when it comes to certain areas of the house (namely the kitchen and bathrooms!). 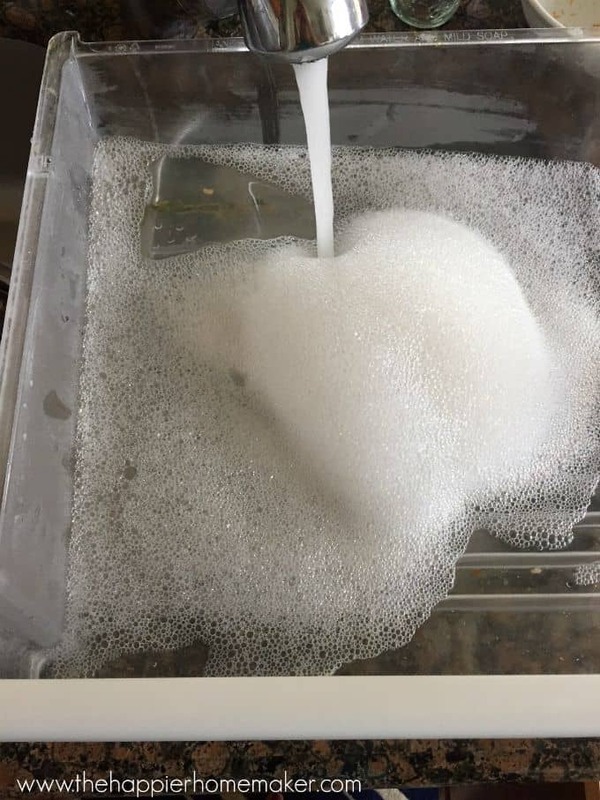 Maybe it’s denial or just avoidance because those are my least favorite areas to clean, but I’m very skilled at not seeing when they need to be cleaned! There for a while my fridge would get pretty darn gunky before I’d finally notice (or have my husband oh so gently point out to me) that it needed a cleaning, so I had to come up with a system for keeping it clean…that’s my way-I have to have a routine for doing things or they don’t get done! For instance, I wash all the linens in the house on Mondays, clean bathrooms on Tuesdays, etc. (See my weekly cleaning list here.) 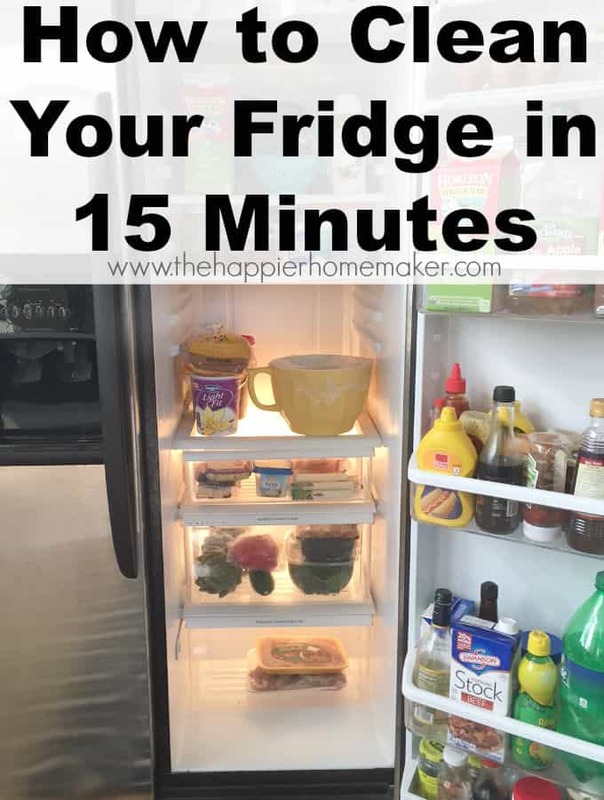 So are you wondering after all that how to clean your fridge in 15 minutes? Let me share my routine with you and you’ll see it can be done! 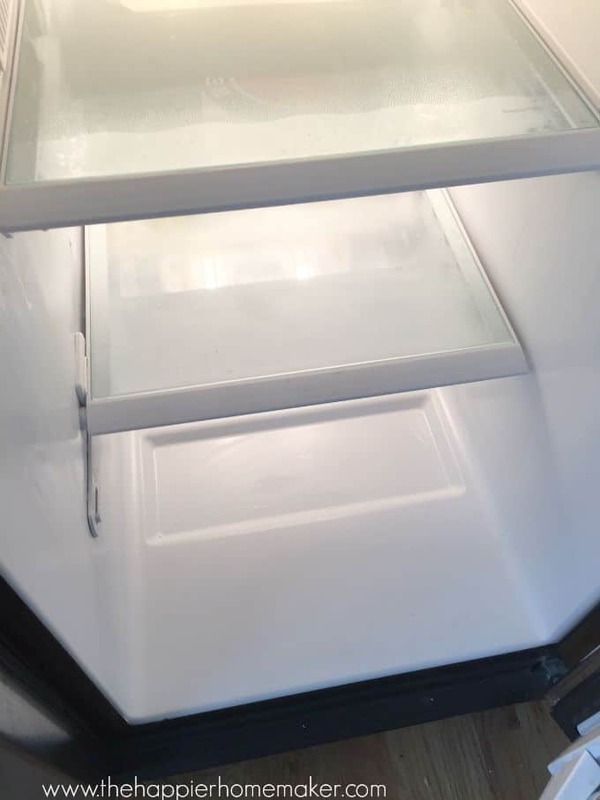 Because I’m cleaning before going grocery shopping there is usually minimal food in the refrigerator which makes it considerably faster to clean. I start with the drawers, emptying the contents and filling them with hot soapy water to soak. As the drawers are filling I use a spray bottle of my Thieves cleaner (from Young Living) and spray and wipe out the shelves and walls. Start at the top and remove the contents, wipe down the shelf, and replace the contents. Work your way down so any crumbs you wipe off fall to the level below. Then get all those crumbs and drips that end up at the bottom of the fridge and behind the drawers. 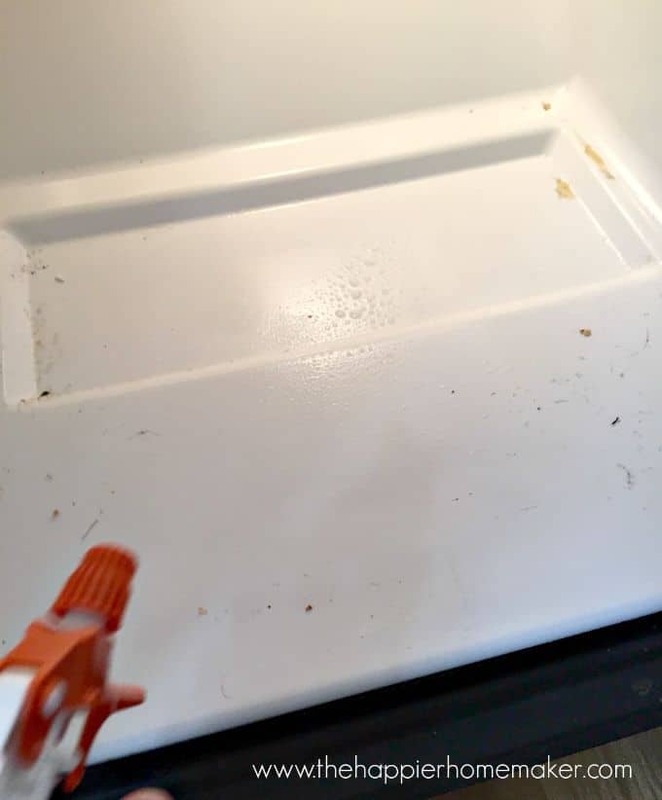 Once everything in the fridge is clean I scrub out the drawers-these are usually the messiest part of my refrigerator and the soaking cuts down the cleaning time immensely-they can be easily wiped clean after soaking for 5-10 minutes! See how clean? If they are super gross I’ve even left them soaking while I go to the grocery store and given them a quick rinse and dry when I got home before putting the groceries away-works like a charm! Cleaning the fridge this way keeps it super clean with minimal overall time…it may take a little longer the first time but once you get in the habit it usually takes less-mine usually takes a quick 10 minutes every other week! 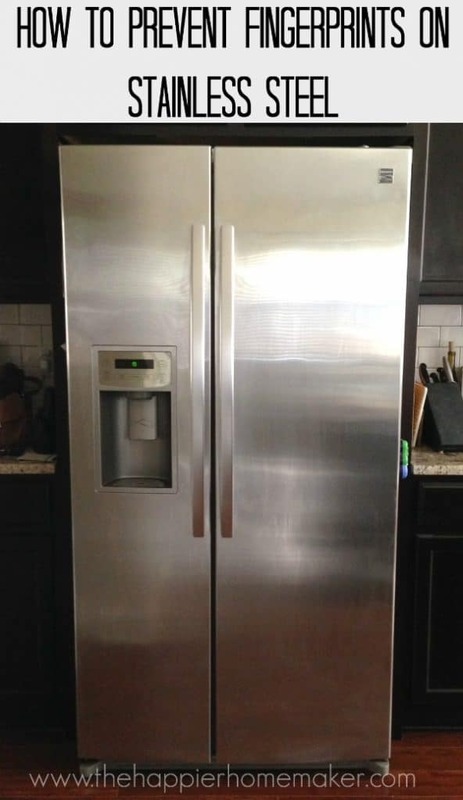 How often do you clean your refrigerator? Are there any other cleaning tutorial or tips you’d like for me to share here on the blog? I bought cling free saran wrap and put that down on my fridge shelves. When something spills, I just pick it up and throw it away but I always put down another piece of saran wrap. 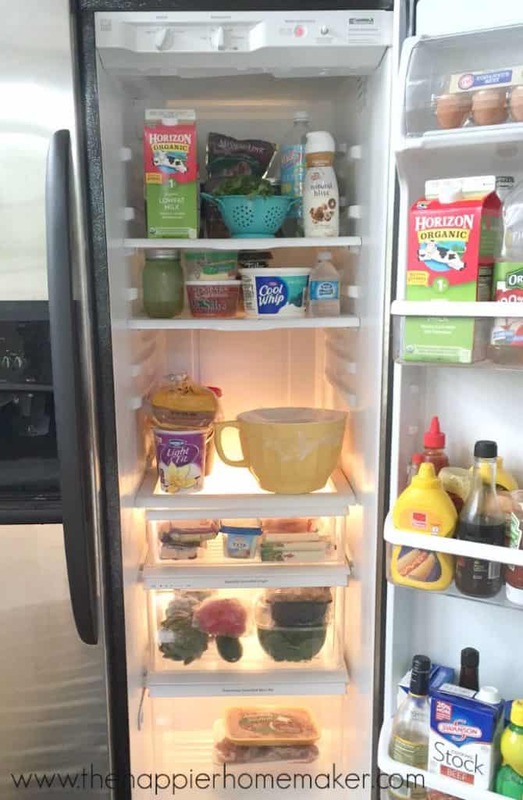 My fridge always looks clean. 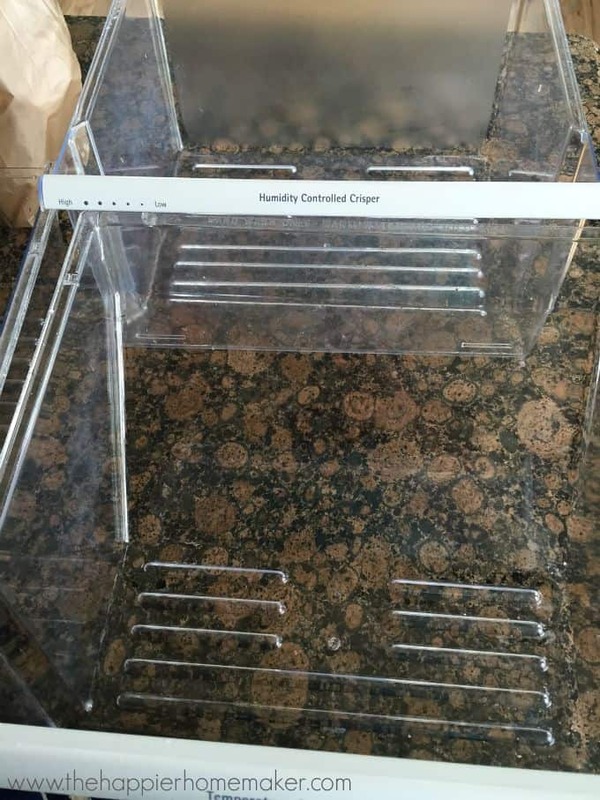 I also bought special towels to put in my vegetable bins. I wish I could remember what they are called but I bought them in the grocery store produce department. They are washable and I love them. I would love to have a print out of this. I cannot print it. Please tell me how I can get one. good points thank you. noticed it looks like you have meat in your crisper drawer is that right?